NEW Location Peninsula Shores District School!  Wednesday March 20, 2019, The Wiarton & District Chamber of Commerce, in partnership with VPI Inc. are pleased to announce that we will be hosting the 7th Annual Wiarton & District Community Job Fair at Peninsula Shores District School. Whether it’s a full-time career, a summer job or part-time employment that the job seeker is looking for – it may be found at this local event. Local employers will have booths available where they can answer your questions and accept your resumes. A Job Fair is an excellent way to save time while looking for employment and creating connections in the business community, a potential job-seeker can do it all in one evening in one location. VPI inc., your Bruce County service provider of Employment Ontario funded programs that are sponsored in part by the Government of Canada will be onsite to answer any questions about Employment funding opportunities. It is a great opportunity to have your questions answered about hiring and training incentives and for employers to network. VPI inc., will also have a booth offering information to all job seekers, we will also have Bruce County Summer Student job applications on hand for both Employers and job seekers, VPI will accept all complete applications that day. This year’s event will be open to Job Seekers on Wed. March 20, 2019 Open to PSDS Students at 2:00 pm, general public welcome from 3:30 pm – 7:00 p.m. at Peninsula Shores District School.